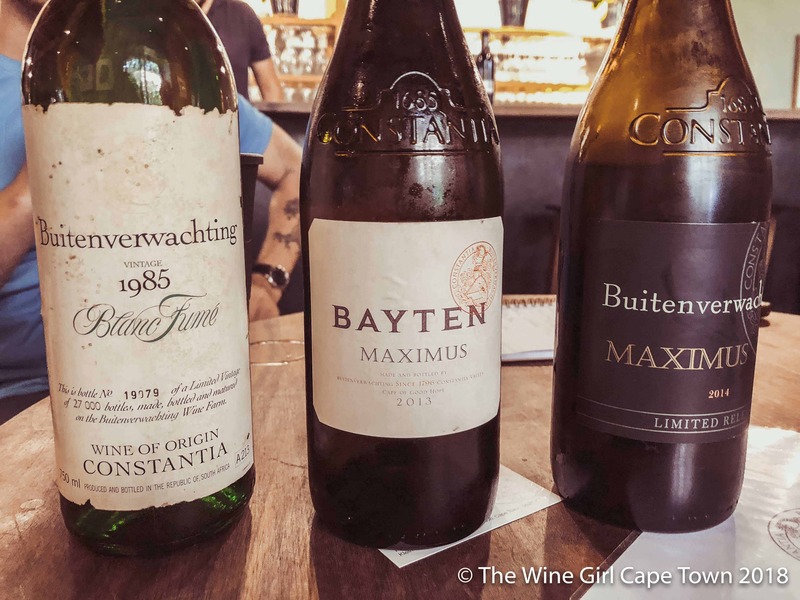 Here we are at 94 of 800 – Buitenverwachting Constantia pronounced “Bay-ten-vir-wagh-ting” (try saying that five times, perfectly in row without stuttering). Buitenverwachting means ‘Beyond expectation’ and is a mere 12kms away from the city of Cape Town, South Africa. As the weather is starting to get warmer, this is a perfect venue for wine tasting, picnics and platters whilst basking in the sun. 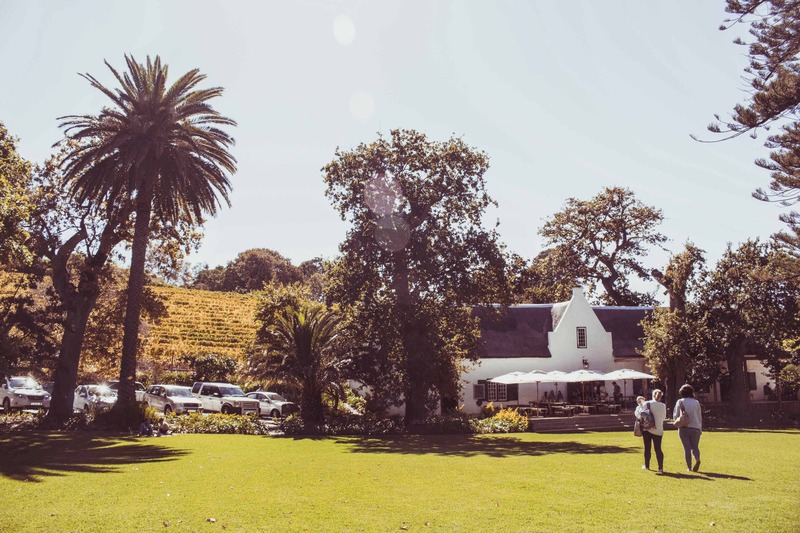 What’s great about Buitenverwachting Constantia is that if you are a family with younger children, you can bring a blanket and chill on the grass with a picnic and if you are a group of friends, then you can book a table on the stoep away from the children. It’s a win-win situation really. I would recommend that you book in advance, this is a popular winery. 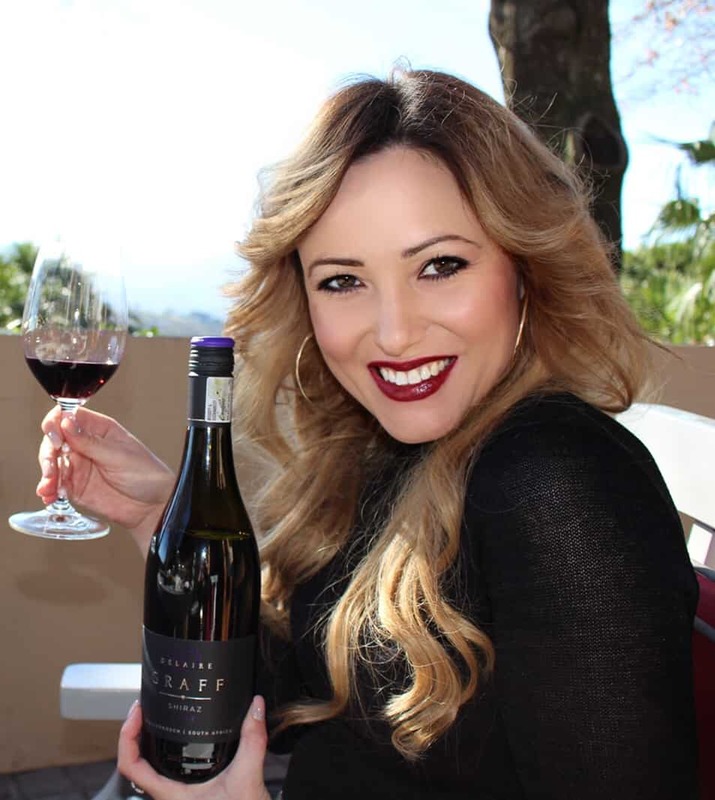 The Constantia wine valley is the oldest wine producing region in the Southern hemisphere celebrating 333 years in 2018 and so Buitenverwachting Constantia is, like most farms in this valley, historic. There are a few nice and modern upgrades though, so you can be rest assured to relax in luxurious and tasteful comfort that Constantia is known for. 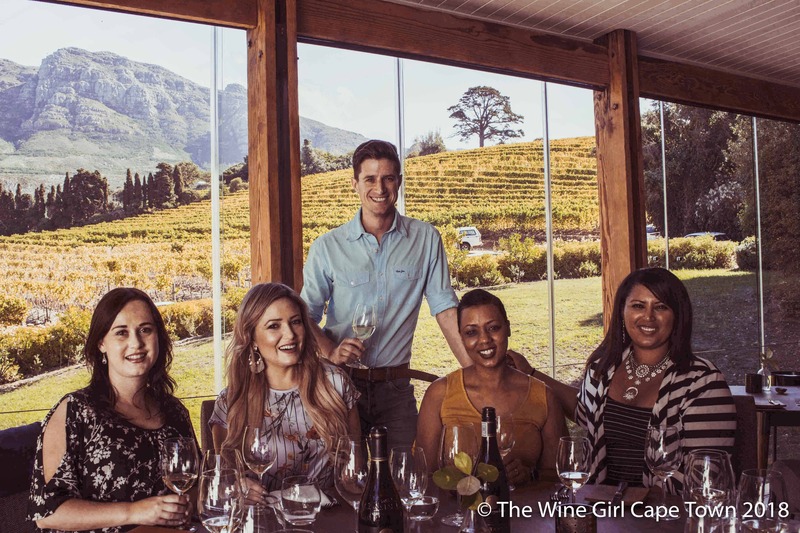 Getting to the estate is not so easy as it is quite deep into the Constantia Wine Route with many twists and turns down winding roads – if you suffer from motion sickness, take the tablet beforehand! Parking is also very limited so I guess the early bird catches the worm or better still, just get an Uber. 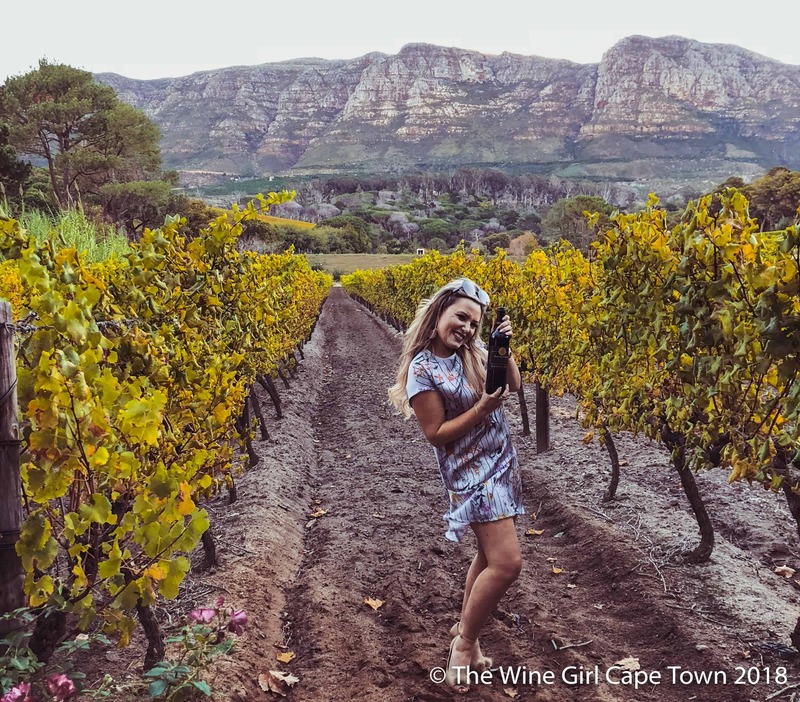 The facilities of the estate include wine tasting with a selection of gourmet platters, a picnic lawn, a fine dining restaurant as well as a coffee shop. You can pretty much spend the entire day here. P.s. if your kids are scared of animals, be warned that dogs and chickens roam freely on the estate but they are extremely friendly. The wine tasting room itself is quite small but I really like the fact that you can stand at the bar and taste too – that way, if there isn’t a table available, you won’t feel weird just waiting around. It feels quite homely too. Wine tasting starts at just R50 and you can choose from a rather large variety. The waiters will serve the wine to you, explaining each one as you go along. Service can sometimes be pretty slow but still good quality so take it easy and enjoy sipping. The outside area is where all the magic happens. There are a range of smaller tables and really, really large tables too. Enquire about their fabulous picnics and gourmet platters to enjoy on the lawn area, pre-booking essential. 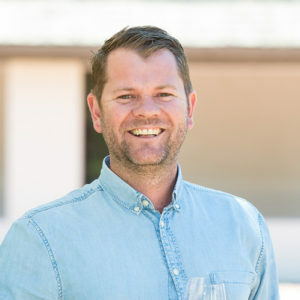 I was lucky to meet up with Assistant Winemaker – Thinus – who was able to give us a bit more insight into the wines and even a very special Pinot Noir MCC which is not for tasting. 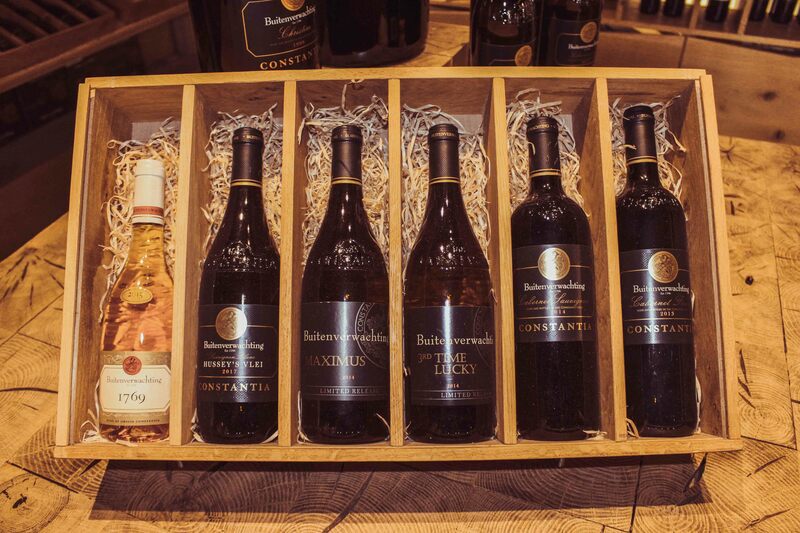 Buitenverwachting Constantia has been internationally awarded for a range of wines such as their Cabernet Sauvignon, Merlot, Blends, Sauvignon Blanc, Chardonnay and dessert wines – a really big portfolio actually. My absolute favourite from this estate is the Maximus – a wooded Sauvignon Blanc which spent 15 months in French oak barrels. It reminds me of a Chenin with ripe melon and gooseberries on the nose. A dry, fuller bodied wine with a clean finish. I met up with the tasting room manager who was kind enough to show us a 1985 Blanc Fumé along side their export label (Bayten) and of course the local one, Maximus for comparison of the labels. 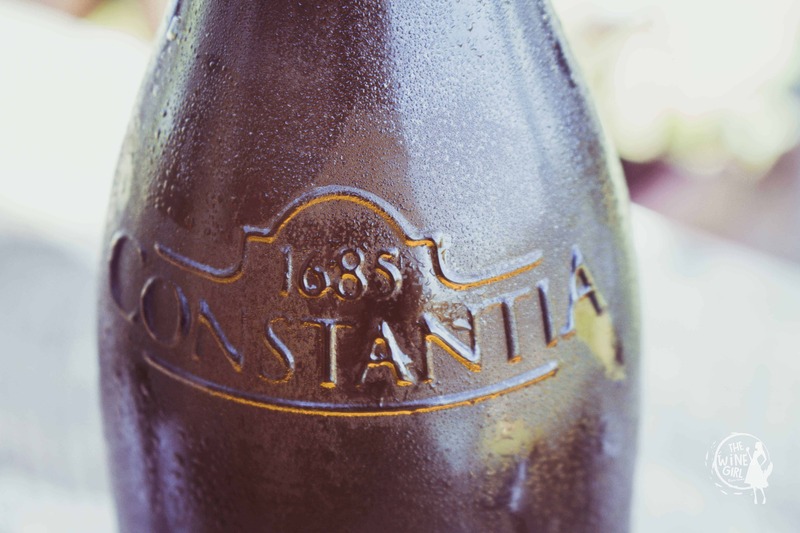 Of course, what’s unique about all wines that come out of Constantia is the embossed Constantia label in the glass moulding of the bottle – 1685. Another big bold wine is their awarded Meifort. The 2014 vintage won the best Bordeaux-style red blend at the Old Mutual Trophy Wine Show 2017.Be sure to ask for this one in the tasting room!Just look at this amazing trophy! This is my type of wine glass! You simply cannot have a day at Buitenverwachting Constantia without booking a meal at the highly acclaimed restaurant. Meals are around R200 a pop so you know it’s going to be top quality! For starters I had quail and for mains I had Springbok. The service is exceptional and you will absolutely love pairing the different wines with the meals. Ensure you book in advance to get one of the best tables that overlook the vineyards. From left: Just Janet, The Wine Girl Cape Town, Jared in Cpt, Through my Wine Glass & The Witty Wine Woman. Photo by: Gabi Sieni. If there’s one thing that follows wine in Constantia, it is definitely coffee and cake! I can definitely vouch for the freshly brewed coffee served with the mouth watering Baked Cheesecake. What a great way to end a day of fine wines and dining. What a great day of wine tasting in this beautiful valley that is Constantia! So what farm will be next? Thank you Jared! Great day!